My parents always KNEW I was different. I heard jokes from them all the time from wrapping me in bubble-wrap to wearing knee pads, elbow pads, and a helmet. As a parent, now, I can completely empathize with their plight. I worry over the future of my kids and whether or not they are going to have a healthy, productive, and self-sustainable life. Now, mind you, I know that God has an amazing plan for each of His children even if it’s not what we expect. However, I do not believe that we need to succumb to the unknown. I have heard enough doctors telling me that they have no idea what they are dealing with. My kids’ healthy lives are at stake and I’m willing to fight for it by gaining knowledge and wisdom through research, experience, and prayer. 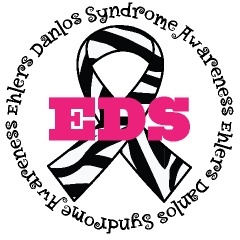 The Ehlers-Danlos Syndromes are inherited in the genes that are passed from parents to offspring. They are categorized according to the form of genetic transmission into different types with many features differing between patients in any given type. The fragile skin and loose joints and tissue fragility is often a result of abnormal genes that produce abnormal proteins that confer an inherited frailty of collagen (the normal protein “glue” of our tissues).